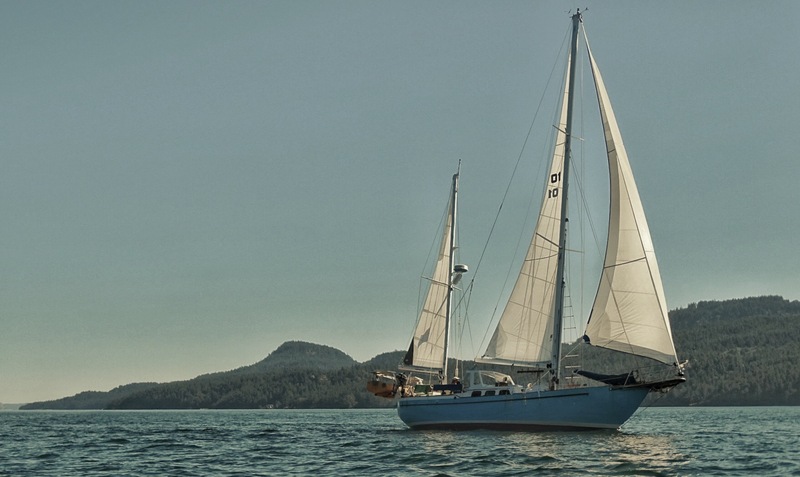 Every boat owner who aspires to go cruising knows about The List. Any of the posts you have seen thus far are items that we have checked off The List. Even when you buy a boat that seemed to be ready to conquer the Seven Seas, there is plenty to do. Entries on our list range from big projects to minor details and fall into one of three categories: 2014 Summer Cruising, 2015 GTFOH (Get the F Outta Here), and Maybe One Day. One detail on the 2014 Summer Cruising list was to mark the anchor chain. It’s important to have it marked so you know just how much is out. Having too little chain out is dangerous since it does a lot of the work to keep the boat in place. Trust me. It’s physics. Small World came with over 200ft of chain and it was up to me to decide how to mark it. Of course I asked the internet. Of course people answered with lots of ideas and lots of reasons why other peoples’ ideas were terrible. In the end I decided to use zip ties every 25ft. If you’re curious here are my reasons. Paint tends to chip as you use the the anchor and you have to re-do the painting a lot. 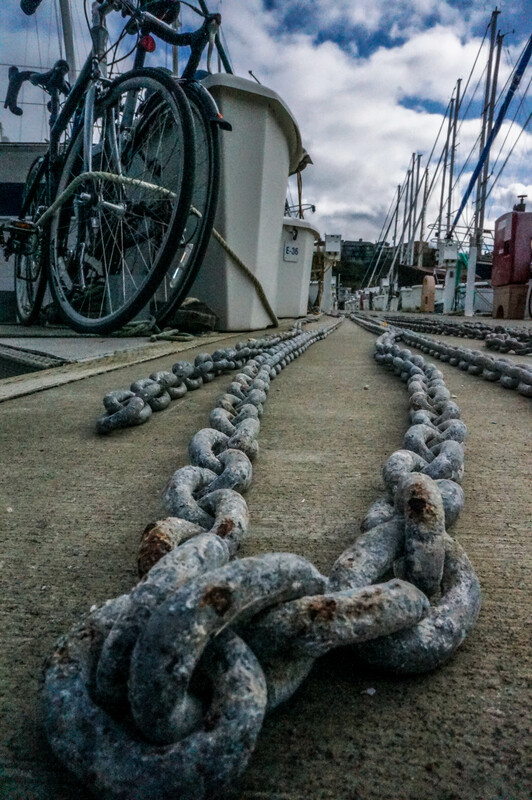 If we are anchoring, I won’t always have access to a dock to paint the chain. Zip ties are easier to see in some situations. Zip ties are easy to replace if they actually fall off. I didn’t want to deal with paint and we already had zip ties. I laid the chain out on the dock and tried to keep it condensed to half of the dock. It’s a lot of chain though. Luckily adding the zip ties is rather quick so I was only an irritating dock-hog for a little while. Look at me. I set trends. As I was just about done, one of the neighbors shows up and provides his two cents. He marks his chain every 9 ft (or some length that seems random). Turns out, I wish I had heard that specific opinion prior to marking our chain. Now when he is traveling into foreign waters that are marked in meters of depth, he has to do less math in the heat of the anchoring moment. Brilliant! So now, the anchor chain is marked and an item was checked off The List. Too bad it ended up back on the list now that I want to adjust the marking points. Isn’t owning a boat awesome?! good work, krystle — that’s my two cents!